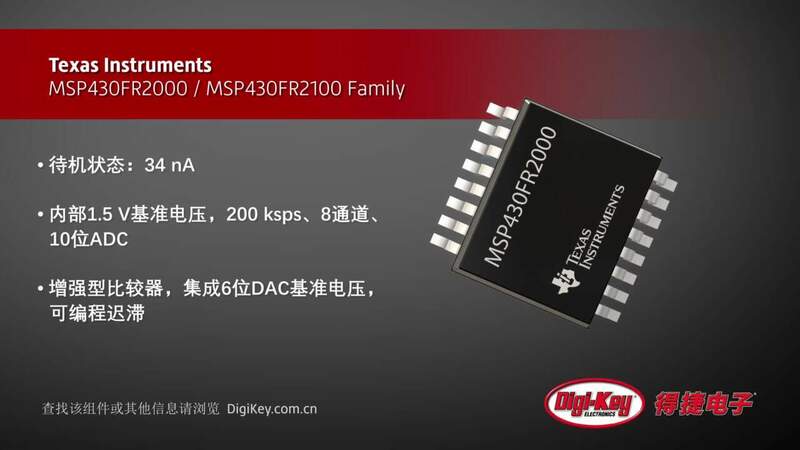 MSP430FR2422 Microcontrollers Texas Instruments' MSP430FR2422 mixed signal microcontrollers are for sensing and measurement applications. MSP-CAPT-FR2633 - MSP CapTIvate™ MCU Development Kit Texas Instruments' comprehensive, easy-to-use platform (MSP-CAPT-FR2633) to evaluate MSP430FR2633 microcontrollers with CapTIvate touch technology. Sensing Solutions Portfolio of analog products that offer accuracy and speed conditioning as well as a solution to reduce design time and costs.